Biogen (BIIB), one of the sector's former darlings, announced plans on Wednesday to slash 11% of its workforce. That would represent a change as there have been few mass layoff announcements in the sector of late. 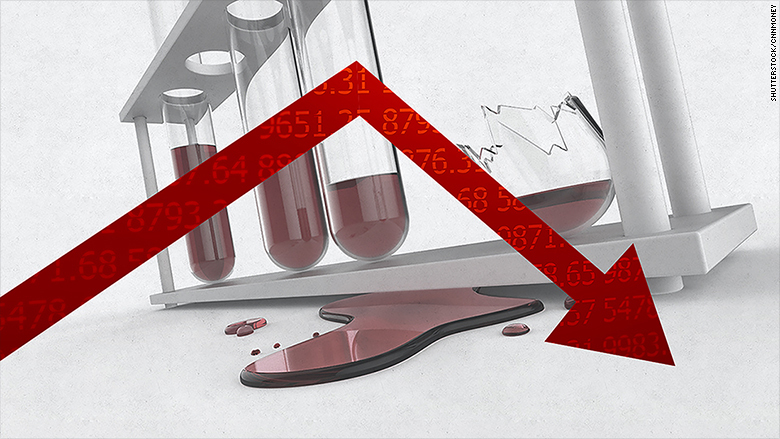 The most recent biotech layoffs occurred a year ago when Amgen (AMGN) slashed 4,000 jobs, according to outplacement firm Challenger, Gray & Christmas. Other layoffs in the broader healthcare industry include 2,500 job cuts by Zoetis (ZTS) last May and reductions made last year by Allergan (AGN) and GlaxoSmithKline (GSK).